I have been working in the financial services industry since 1990. 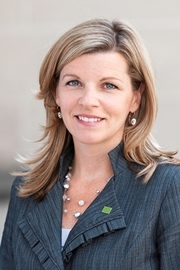 Prior to taking on the role of Financial Planner, I was Branch Manager in the Niagara area. During the last 6 years, I have focused exclusively on financial planning and fostering strong client relationships. I have completed the requirements for the CERTIFIED FINANCIAL PLANNER™ certification conferred by the Financial Planning Standards Council. I am also a Certified Retirement Specialist. I look forward to being with you every step of the way as we work together to achieve your personal financial goals.